Here's a unique promotional option that can drum up some new attention for your business! 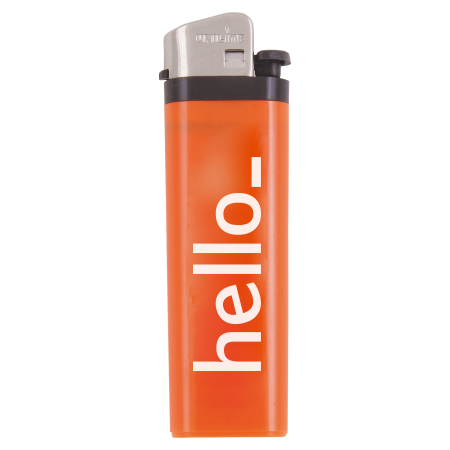 Get the word out with Helloprint 's Lighters! Print your logo on these child-safe lighters, and you'll have a creative way to promote your next entertaining event! Trust us, these ones will get around because sharing is caring! For the delivery of your lighters: budget we use multiple carriers. Because of the highest reliability, in most cases we use UPS or DPD. The lighters: budget that is chosen in most cases can be selected via our website.